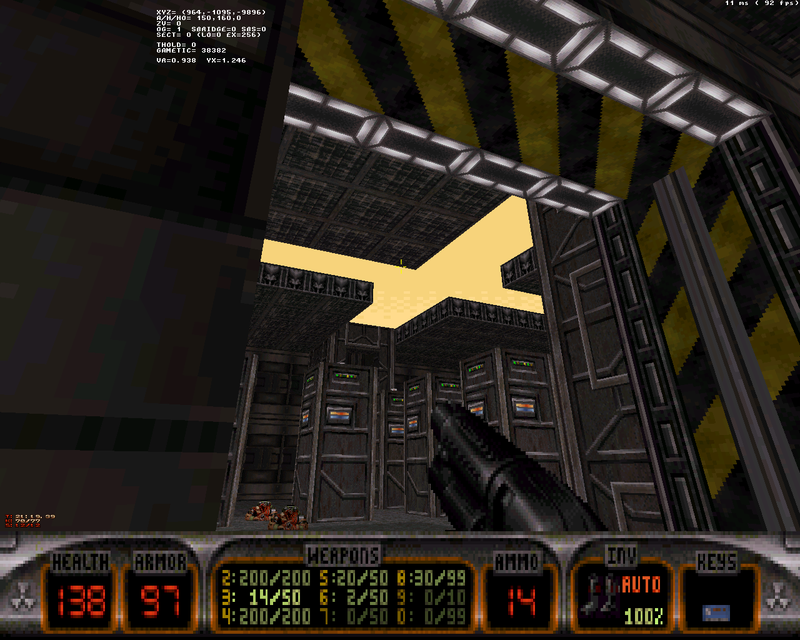 [RELEASE] Factory Datacenter "My third Doom-style map"
I noticed the comments about Factory Entrance being too easy, and decided to make this map a bit more difficult. Before using the teleport in the east, throw a pipebomb (which you can get in a couple of the secret areas) over the wall where the commanders are. Pretty cool, nicely done! 15 minutes, most of the kills (11 left), and only 1 out of 11 secrets. 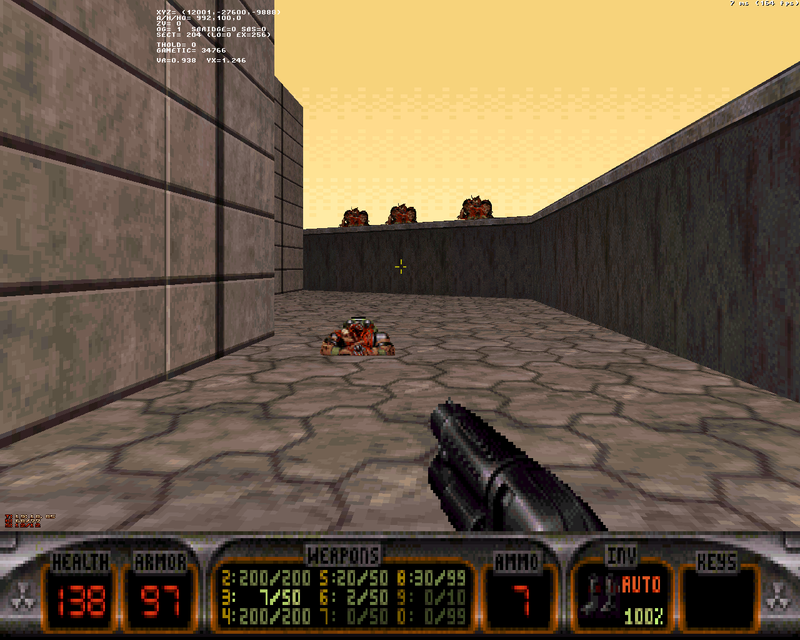 For the record I never had to fight the commanders, I shot at the a little while outside, but the only teleporter I used took me to a few liztroopers. I also didn't find pipebombs, didn't need them though. If I had one criticism, the switches puzzle felt slightly overdone. I liked the bit about raising platforms though, just overall I had no idea what all the switcfhes were doing. Luckily it only held me up for maybe five minutes. 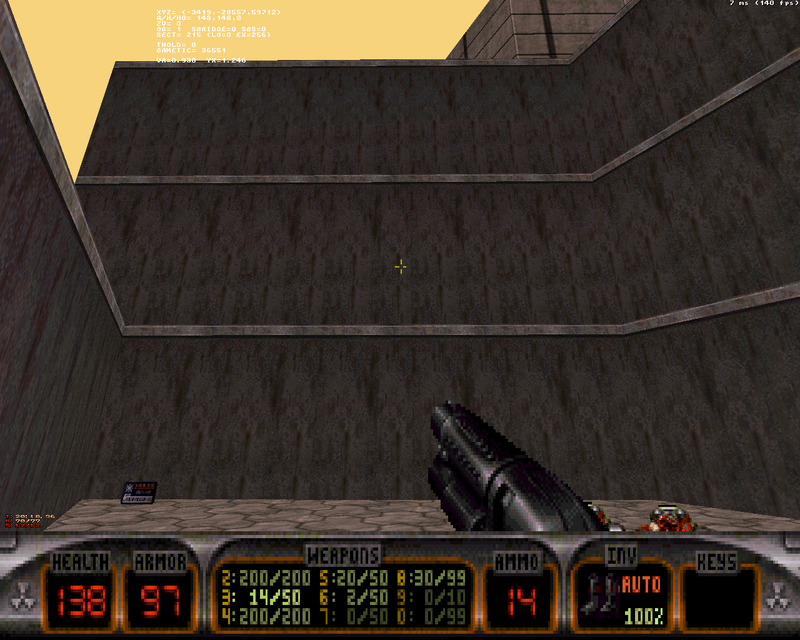 Judging from the screenshots it could use more wall and sector shading. Had some fun. Think the map needs just a litle more atmosphere, shading, maybe replace some flashig lights by perhaps lights that change after something, be that door opening, or darker room that lights up when the bad guys appear (not being too specific here as don't want to spoil it). Talking of switches, the puzzle is ok actually - I admit to having a low puzzle tolerance but after a few goes I sussed out what was happening. In my book that means it is judged about right (could mean too easy for others, but hey, just right for me). Never did get the pipe bombs. Real shame as a couple of places could have used them - not because they were needed, simply it is _so_ satisfying to draw some baddies together and treat them all to a well-timed jib-inducing pipebomb. 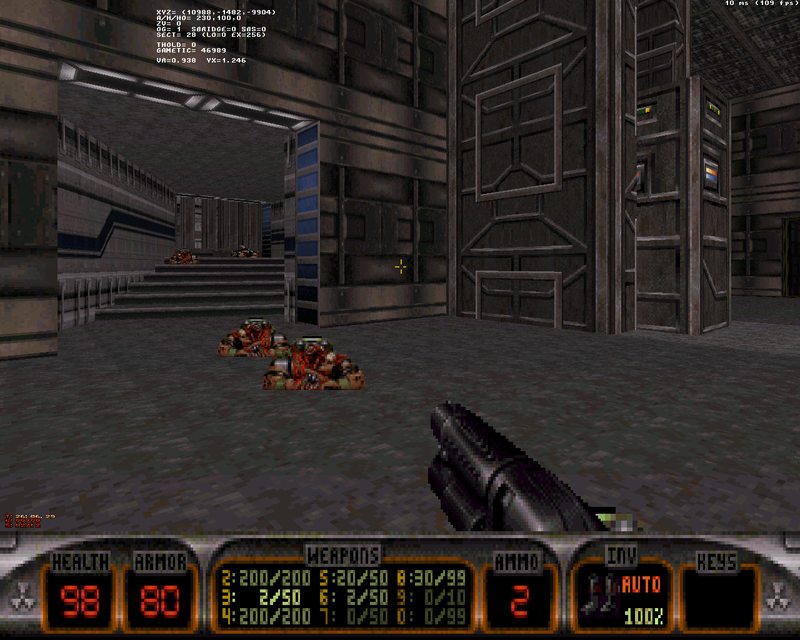 This is my third Doom-style map. Hello and thanks for the release. 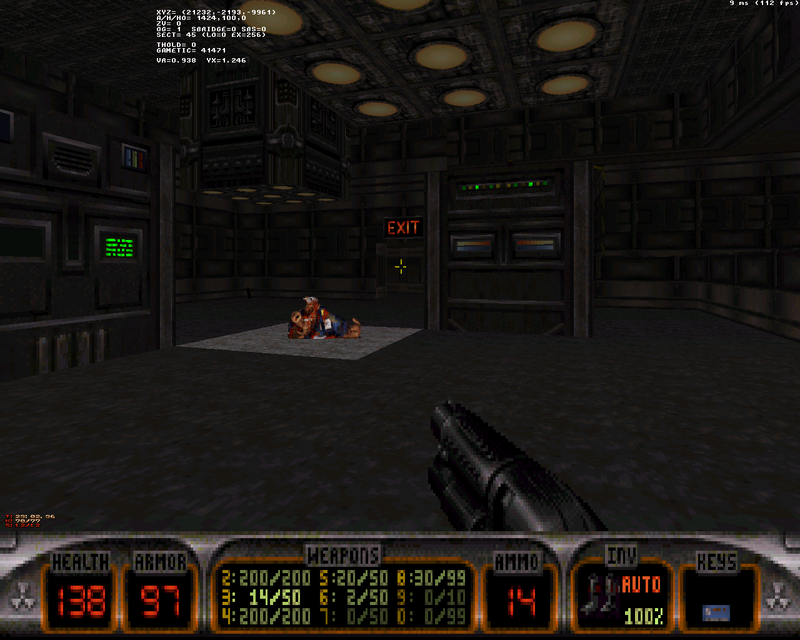 A real Doom map, with nasty bad guys hidden behind you, I like that. The design is clever and you really have to think a bit to resolve the puzzles. Perhaps one or two clues for some hidden walls could be nice. Well done switches puzzle. As for the rest the map is pretty easy about fighting (except perhaps the tree commanders outside), there's plenty of life and ammo. The map is clean, I haven't found any textures misalignment or other bugs. 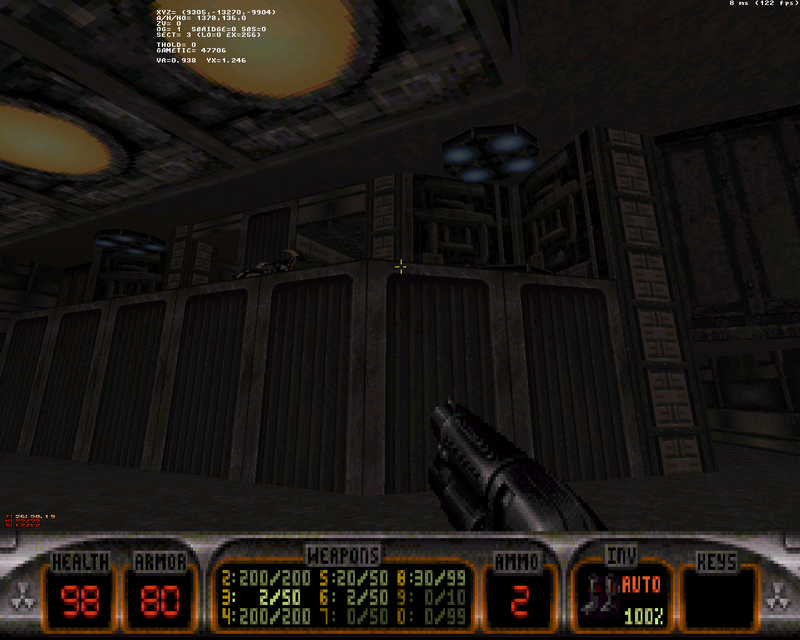 About the texturing and lightning, the ambiance is really Doom-esque, but the texturing is still a bit dull, I think a bit of variety could be nice (or some breakable screens - see some parts of the The Underground Base Complex, there's good texturing ideas in it I think). I have a question, about the background of your maps : is it Alien bases which Duke attack or is it EDF (or something else friendly to Duke) which is being taken over by Aliens and that Duke need to clean up ? Or perhaps there's no background at all ? (Or perhaps the story is in the txt files that I have forgot to read, oops ). 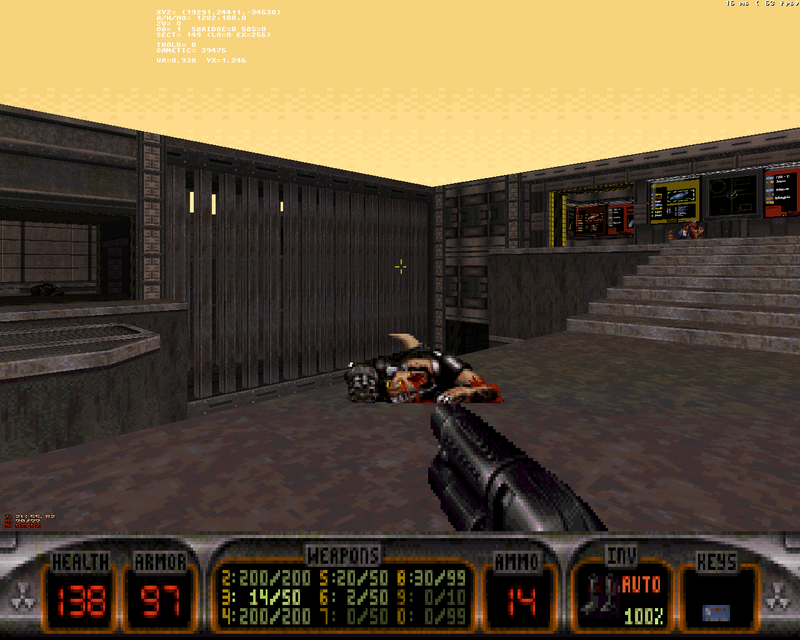 I ask this because I think the map lack the "gore and body parts" ambiance you find in DOOM, perhaps a few custom sprites from Doom (impaled body and so on) could add something, but it's just my opinion. I also think a custom sky /changed PAL could add to the ambiance or try the red sky perhaps - number 99 if I am correct). - Floating bullets holes on sky (I suppose it's because you use the "parallax walls trick" (I hope it's the real name ^^), if I remember correctly, it cause this problem). - You can trigger the hidden switch behind the switches puzzle without resolving it (stick on the wall and activate it, hope I am clear enough ^^). I like the look. Nice work. I don't like some texture choises, and more shadows would make this map better, but overall it's a nice little map. Maybe you would release an episode instead of single maps? You have a single theme already. I still doubt that guys like Mikko would review it, though. For some strange reason, Mikko Sandt stopped reviewing the new maps recently, looks like he's too big for it, Ok then, he will be whining about the lack of releases in the end of the year. you're projecting, he doesn't have infinite time to review stuff. i barely even got around to re-installing the game after my last catastrophic OS failure. Between my computer system issues since June, and personal time being used for travel and family - I don't have much time for games - let alone reviews (which take twice as long to do than the actual playing of a map / project itself). I agree to Sanek that complaining about the number of releases and skipping quite a number of maps doesn't quite fit together, even if most of them probably wouldn't pass the 85 score barrier. The trend towards releasing whole episodes and other multi-map projects also hides a bit that the actual amount of new playable contents is quite satisfying.